Michael A. Raffaele is a founding partner of Raffaele Puppio and serves as the firm’s managing partner. He has dedicated his practice to family law, taking a problem solving approach to assist clients in avoiding the delay and expense of unnecessary litigation whenever possible. In the course of his career, Michael has served the Delaware County Court System as a Juvenile Court Master and Custody Master. He also was appointed by the President Judge of the Court of Common Pleas of Delaware County to serve as a Judge Pro Tem in a program adopted to decrease the Court backlog in family law cases. 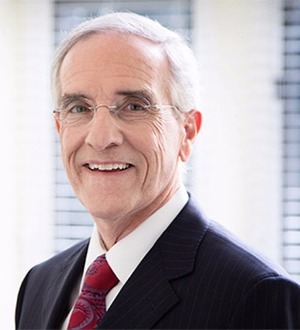 Michael has served on the Board of Directors of the Delaware County Bar Association and as Chairman of the Delaware County Bar Association’s Fee Dispute Committee. Michael brings a wealth of courtroom experience and practical insight to all of Raffaele Puppio’s practice areas. His career path included tenures as Zoning Hearing Board Solicitor for the Borough of Sharon Hill and for Newtown Township. He was also appointed as Special Counsel to the Zoning Hearing Board of Tinicum Township and has served as Solicitor for the Borough of Ridley Park. Michael is a life-long resident of Delaware County, Pennsylvania.